Former Secretary of State John Kerry says he was unable to persuade then-President Barack Obama that Syrian President Bashar al-Assad "needed to be taught a lesson" for violating ceasefires and using chemical weapons on his own people during Kerry's time in office, telling "Face the Nation" that the U.S. ultimately "paid a price" for inaction. "We paid a price for the way it played out without the red line being enforced by the bombing," said Kerry, referring to Mr. Obama's warning in 2012 that use of chemical weapons would prompt a military response by the U.S., a threat that was not enforced a year later. Kerry explained his thinking at the time. "I put several ideas on the table. The president was not persuaded by my argument. I believed that we had several options we could have done at very low risk to be able to make it clear to Assad that when we had a ceasefire and when he said he was going to live by it, he had to live by it. And I thought we should have done that," Kerry said. While he avoided explicitly calling out Mr. Obama as being "risk-averse" to intervening in the Syrian civil war, Kerry said the former president "had an attitude about Syria and a judgment about Syria. And he had a feeling about where that might take him if he made some of the decisions that I and others proffered." In August 2012, Mr. Obama said that the use of chemical weapons by Assad was a "red line" that, if crossed, would be a "game changer" for U.S. involvement in Syria. Following a gas attack on civilians in the summer of 2013, Obama prepared for a missile strike before shifting course and seeking approval from Congress for a strike. The so-called "red line" went unenforced, and Kerry writes in his new book "Every Day Is Extra," out this Tuesday, that he was surprised by the president's decision. "I thought we were going to go forward. I thought that weekend was the weekend. I expected the phone call to be telling me that he had decided we were striking that night or whatever was going to happen, and it wasn't. My job was to then affect the president's policy. 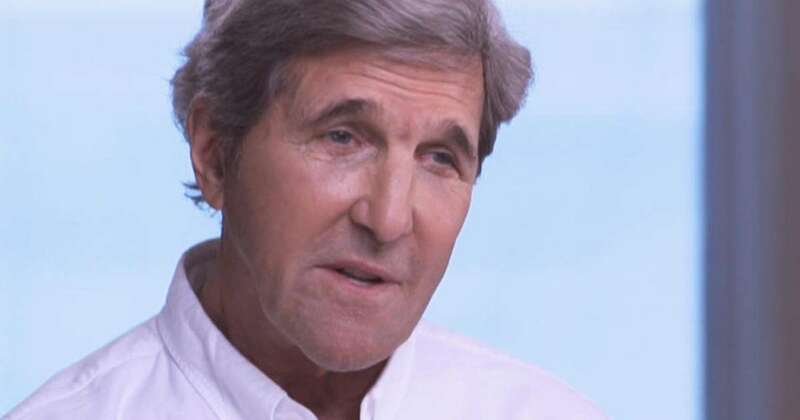 And I did the best I could in going to Congress and arguing the case," Kerry said. "But I do write that we paid a price for that. There's no question about that. We paid a price. And all the explanations and everything else doesn't change the perception, and perceptions sometimes are very telling in diplomacy and politics." Kerry, who has publicly lambasted President Trump's foreign policy, said he has partially supported Mr. Trump's military strikes against Assad for his regime's continued use of chemical weapons against civilians, but said military action must be met with diplomatic outreach. "I supported the use of force, but I don't support just a one-off where you drop a few bombs and there's no follow-up diplomacy and no additional effort to try to use the leverage you get out of doing that," Kerry said. "I thought that the president should have done that. President Trump should have done that." Kerry said he's proud that he "never stopped trying" to bring stability to Syria. "Even when it was tough, even when it looked bleak, I don't regret putting, you know, the idea on the table and I think it was a terrific outcome in the sense that we got all the declared weapons out of there," Kerry said, referring to a deal brokered by Russia in 2013 to remove Syria's chemical weapons and avert a U.S. strike.